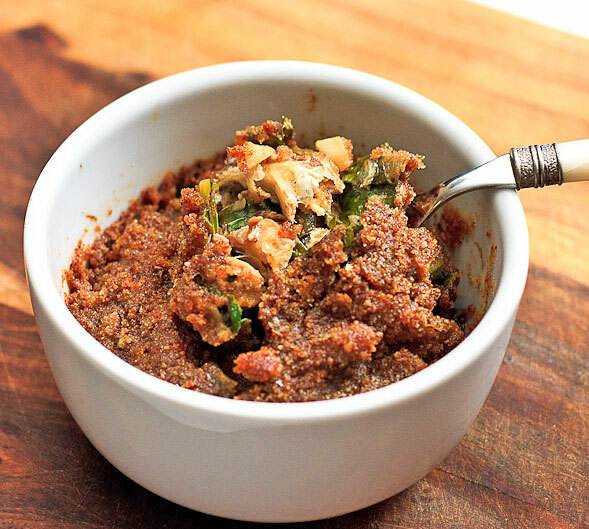 Canned sardines are always my go-to ingredient if I need to whip up something quick to eat. They’re packed with omega-3 fatty acids and can easily be made into a healthy weeknight dish. My usual recipe with canned sardines is a sardine and tomato pasta which I make almost every week. 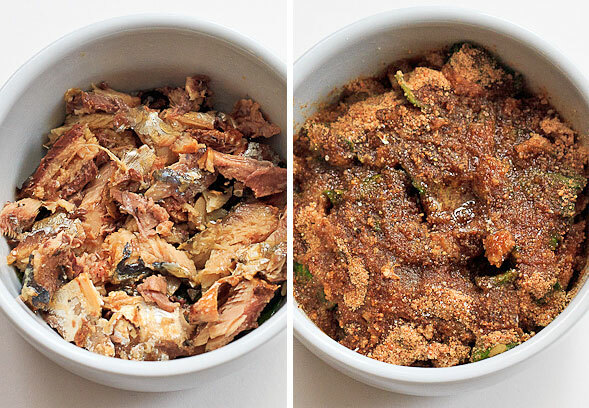 Another simple way to use canned sardines is baking them into a gratin. 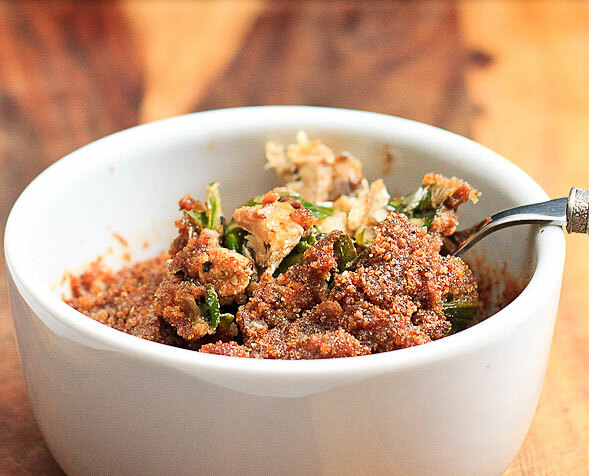 Vitamin-packed collard greens and crunchy breadcrumbs are added making this dish even more delicious and satisfying. This gratin is adapted from a recipe I saw on The NY Times a few years ago and I have been making it ever since. 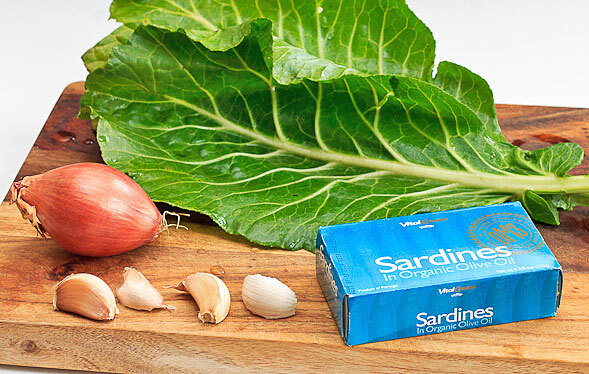 Try to find good sardines preferably packed in olive oil, and roughly chop or flake them with a fork when you prepare the gratin. 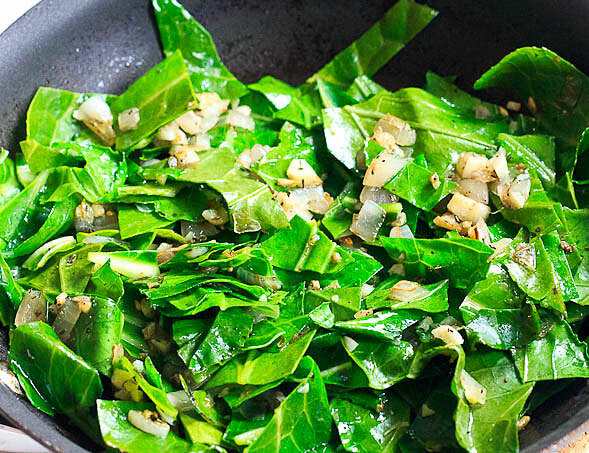 The Times article called for Swiss chard but I had collard greens which turned out really well. But use any type of greens you have on hand. Take sardine filets out of can and set aside. 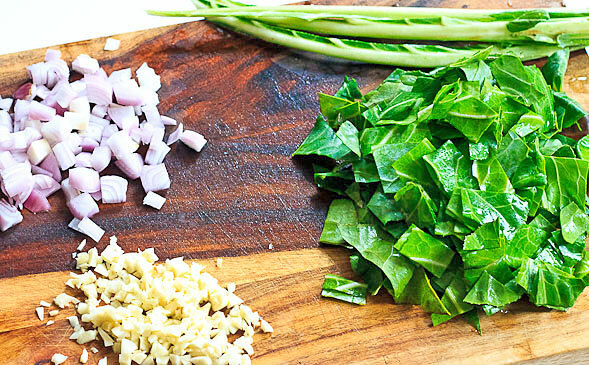 Chop garlic, shallot and collard greens. Saute herbs and vegetables together, then add milk, salt and pepper. Stir until soft. Spread half of greens into ramekins. 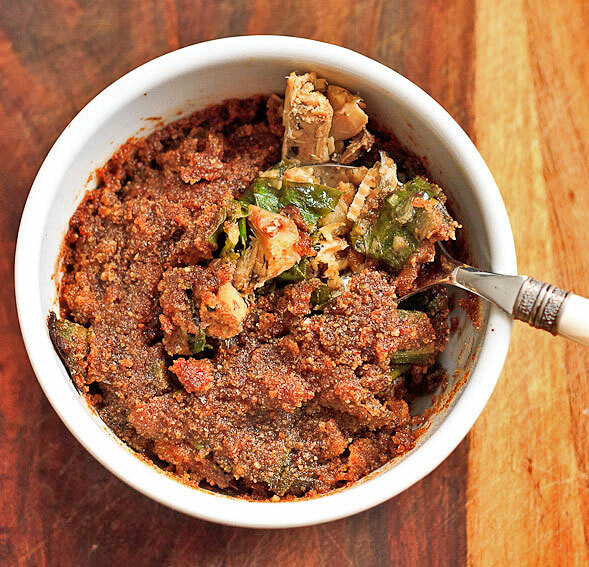 Add sardines, then pour in remaining greens and top with breadcrumbs & olive oil. Cool ramekins and serve hot. Preheat oven to 425°F. Lightly grease 2 individual ramekins or baking dish with olive oil. 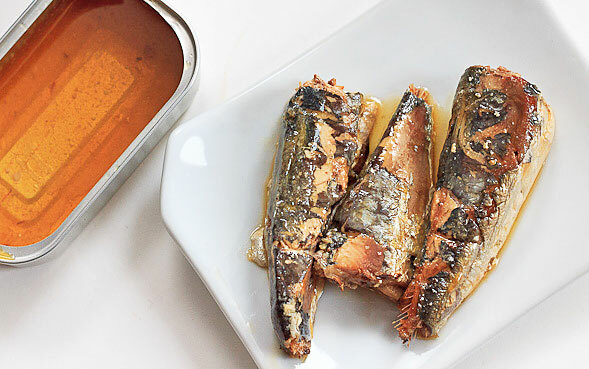 Remove sardines from can onto a plate. Set the sardines and leftover oil aside. Heat regular olive oil in a pan over medium heat and add the shallots. Stir and cook for about five minutes then, add in the garlic, thyme and oregano and cook for about a minute. Add the collard greens and salt and pepper to taste. Add in milk and stir until liquid is gone. Add more salt and pepper to taste. Spread half of the collard greens mixture at the bottom of the ramekins. Top with the sardine fillets, chopped or flaked. Then top sardines with remaining collard greens. Sprinkle with breadcrumbs over top and drizzle oil from the can. Bake for 15-20 minutes until tops are golden brown. Let rest for a few minutes and serve hot. Sardines are a seasonal ingredient for me, and they happen to be showing up in the market now. 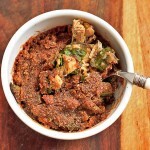 I found your recipe while searching for something to do with sardines and this looks delicious! I would love for you to link up this recipe on my Seasonal Eats May roundup found here, which highlights recipes that use seasonal ingredients in great recipes. Thanks for reaching out. Feel free to link back to my recipe. I’m inspired! Making a version of this today – parmesan instead of breadcrumbs is the plan. Never tried it with Parmesan… Let me know how it turns out!